Welcome back to another school year at the Capital of Bulldog Nation. A special welcome is extended to our new students, staff members, and families; we are glad you have joined us. 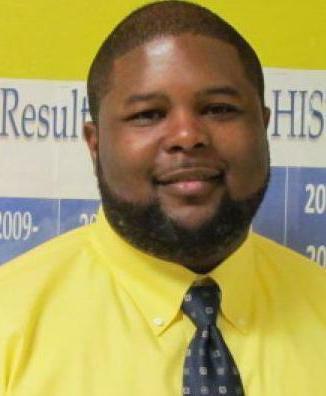 Our students have come in ready to learn, our teachers have come in ready to provide quality instruction, and our administrators have come in ready to hold everyone accountable and ensure the success of Natchez High School. Everyone -students, teachers, parents, administrators, and stakeholders- plays a vital role in our success and the ultimate success of every student at Natchez High School. Parents, we solicit your support by asking you to become an active member of your child’s education. Join the PTSA, stop by and visit the classrooms, volunteer, and nightly ask your child about his/her day, making certain that homework, studying for assessments, projects, etc. are done daily. State and national assessments require students to read, analyze text, cite textual evidence, and develop opinions from texts; as a result, I implore you to help your child become an avid reader. You would be amazed at what twenty minutes of reading each night will do for your child’s language development and reading skills. During the 2018-2019 school year, we will seek to find and use every effective means to provide our students with an educational experience that will promote cooperative and successful living in a democratic society, as well as prepare students for the competitive environment of college and the workforce. We will promote high standards of conduct among students and staff to create and develop an interest in civic affairs, to promote school and community loyalty, to develop pride in and care of public property, and to encourage full and complete utilization of every opportunity for maximum educational growth. Every school year brings with it the opportunity for all of us to do a better job than we did the year before. We should, then, all work together to ensure that we all do better to help every student achieve his/her highest potential; OUR children deserve nothing less.